We're the one for your intergalactic roller skating fun! Don’t have a large group? Ask about our public skating session school family friendly skate night! Putting the FUN back in FUNdraising—The best fundraiser in the galaxy! The concept is simple—the more people you bring, the more fun you have the more money your school will make. Schools make hundreds of dollars in one night while having fun. It’s super easy! Just give out the flyers and make announcements. Raise money for worthy causes! 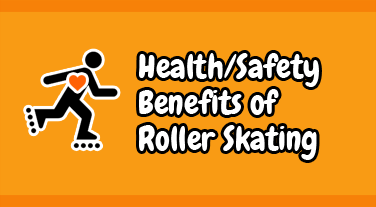 Skating parties are fun, family oriented and a great way to bring people together in a healthy environment. Our events are social…the party atmosphere! 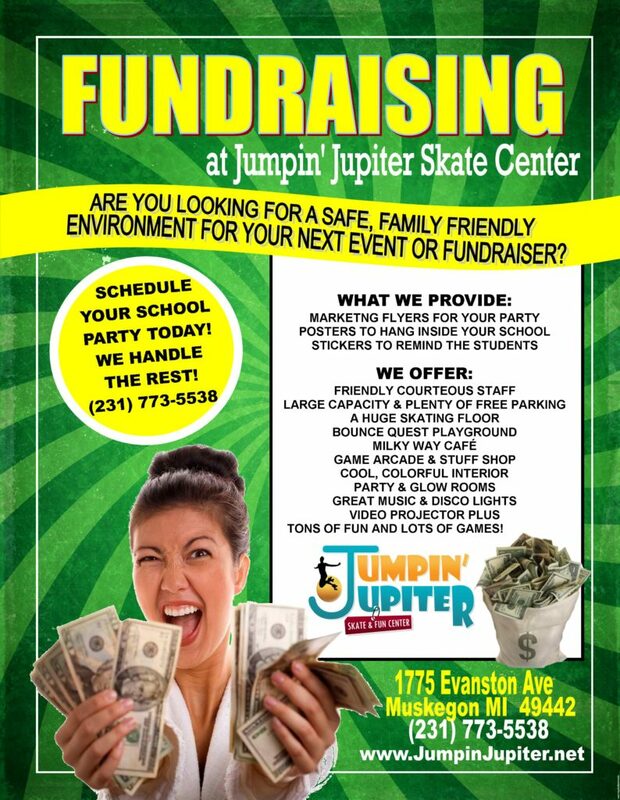 As always, with the fundraiser parties, fliers and customized posters are provided for you and dropped off at no charge. Making it very easy to promote your event. Get more parents involved! Get staff more involved. Activity for all ages! Have your next PTO/PTA meeting here during a private party in one of our party rooms! No additional charge. Our fundraiser programs are the perfect solution for school of any size. The best part is, when the event is done…its’ done. No product to deliver, no pledges to collect, no loose ends that will inevitably fall on the non-profits plate to get handled. They get in. They have fun. You collect the profit. Step 1 Select dates during upcoming year. Step 2 Promote your party with the help of our event coordinator. Step 4 Deposit your check! Hosting a Run or Walk – a Thon at your school? 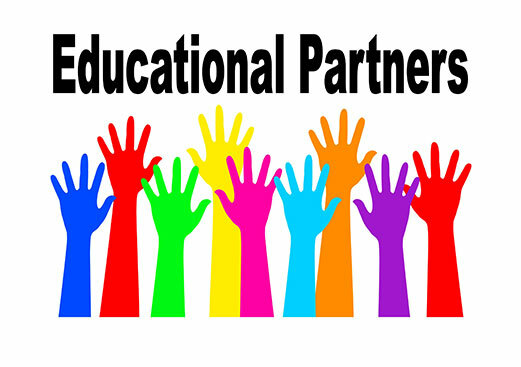 Let’s partner! From individual to class room to the entire school, we have reward options!